Pampers Pampers Baby Dry Diapers Jumbo S5(11-25Kg) - 60 Pcs. Pampers Pampers Premium Care Jumbo S3 (6 -10Kg) - 58pcs. Pampers Pampers Pants High count S5 (12 -18Kg) - 26 pcs Junior. Baby Delight 3 in1 Baby Diaper Bag - Travel Bassinet - Changing Station - With Mosquito baby net - Multi-Colors. Pampers Pampers Premium Care 6 Jumbo S4(9-18Kg) - 52pcs. Generic 3 in 1 Baby Travel Bag and Bed - Grey,Black. Diapers are baby products whose importance cannot be overstated. Whether you’re a new mother or have a baby who is a few years old or simply thinking of a gift for your friend who just put to bed, diapers are baby products that will always be useful. On Jumia Uganda, we have baby types of diapers from different brands at affordable prices. Diapers have a number of benefits that both mothers and non-mothers need to know. The first benefit of diapers is that they can help you have a cleaner, non-smelly home. Babies usually cannot mention when they need to urinate or poo. Hence the need to get products that help handle that for you. This would reduce the stress you would otherwise encounter trying to clean after your baby or babies, as the case may be. Also, wearing a diaper for your baby would make it possible for you to focus on other responsibilities that you have. Being a mother really does not have to mean not being able to do other activities in and out of the home. In cases where you also have to leave your kid with a babysitter or someone else, diapers are effective in ensuring that the period of babysitting your kid is pleasant, not stressful and not horrible. Before the advent of baby diapers, mother resorted to using clothing materials to cater for their babies body waste needs. The problem with this is that clothes can be really problematic and could make your baby really prone to diseases and infections. Therefore, we provide you with diapers from brands like Pampers, Giggles, which consider your baby’s health as the most important. These diapers are skin-friendly for your baby, do not give your baby any skin irritations and also do not leak out just after a few hours. 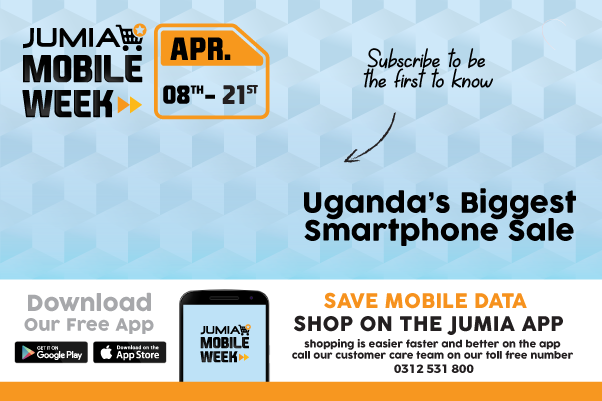 On Jumia Uganda, you can also shop from a broad selection of baby products and accessories like diaper bags, wipes, potty and more. Order now.